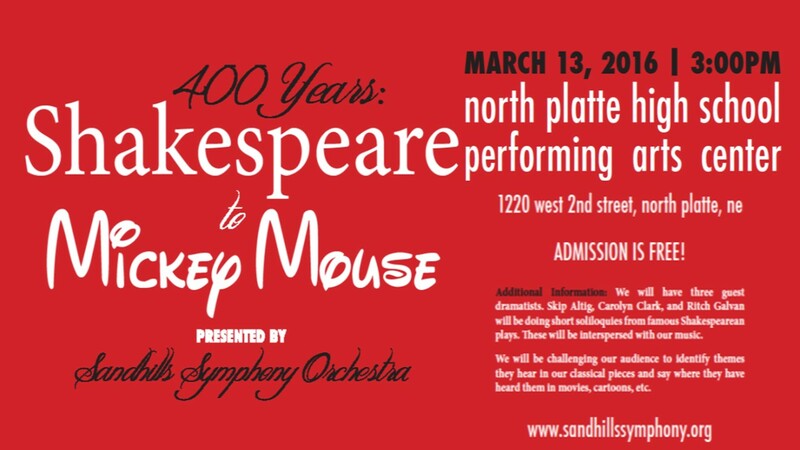 Sandhills Symphony Orchestra | Bringing great music to North Platte and central Nebraska! 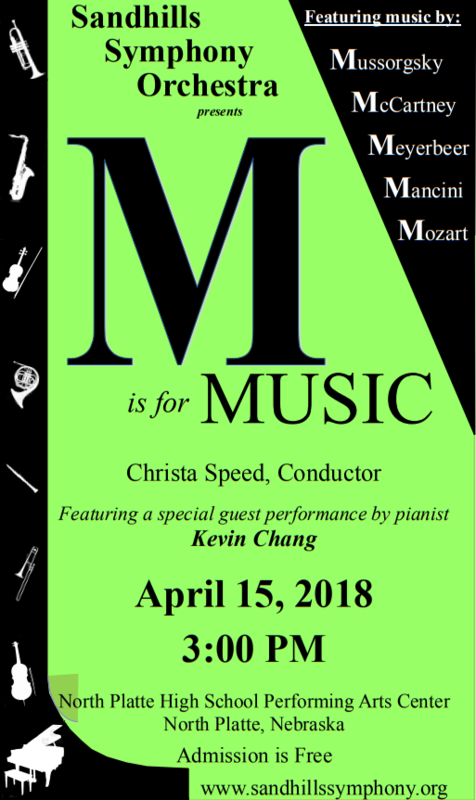 Join us on April 15th, 2018 for our spring concert. M is for Music. 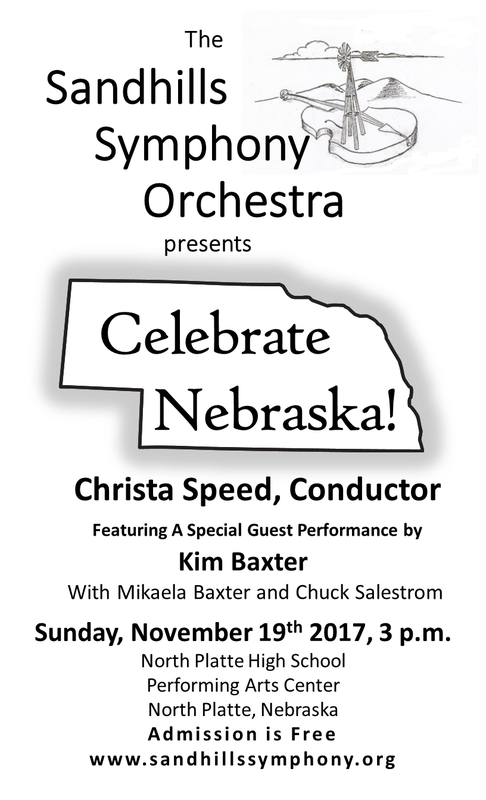 We will start rehearsing on October 8th with our new conductor Christa Speed in preparation for our November 19th concert. We are excited for the new symphony season and the opportunity to play under Christa’s leadership. 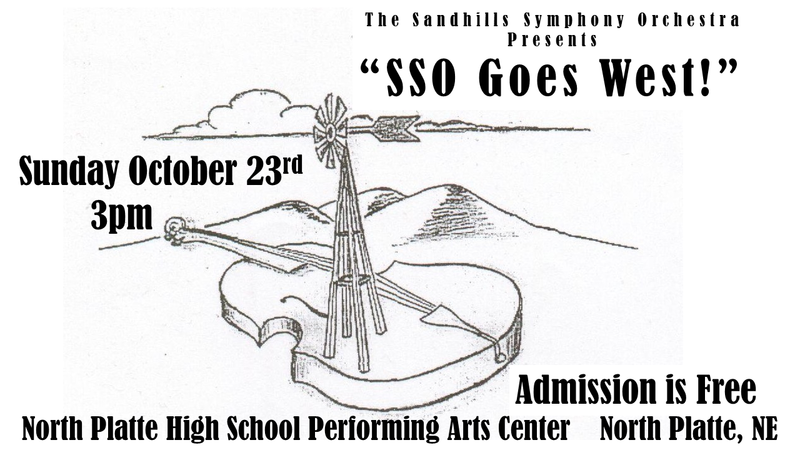 She is excited to work with us, too, as the Sandhills Symphony holds a place near to her heart. 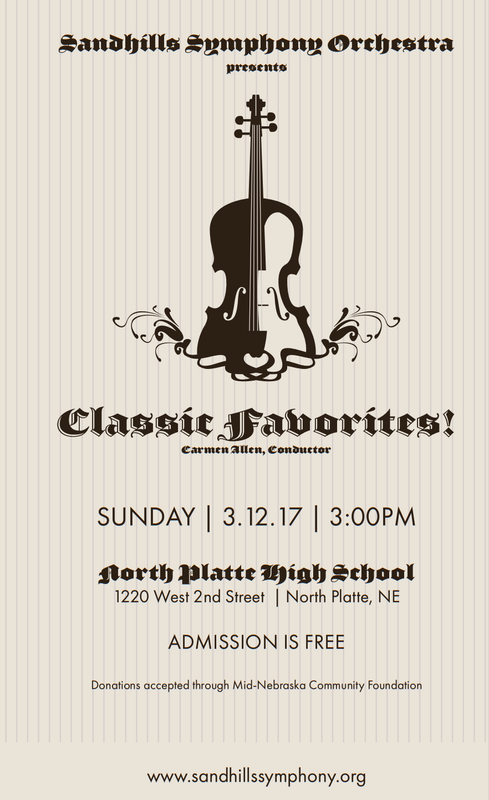 “The Symphony holds special meaning for me because as a sophomore at North Platte Senior High in 1971, I had the opportunity to begin playing in the Symphony when it was under the direction of Larry Romeiser. 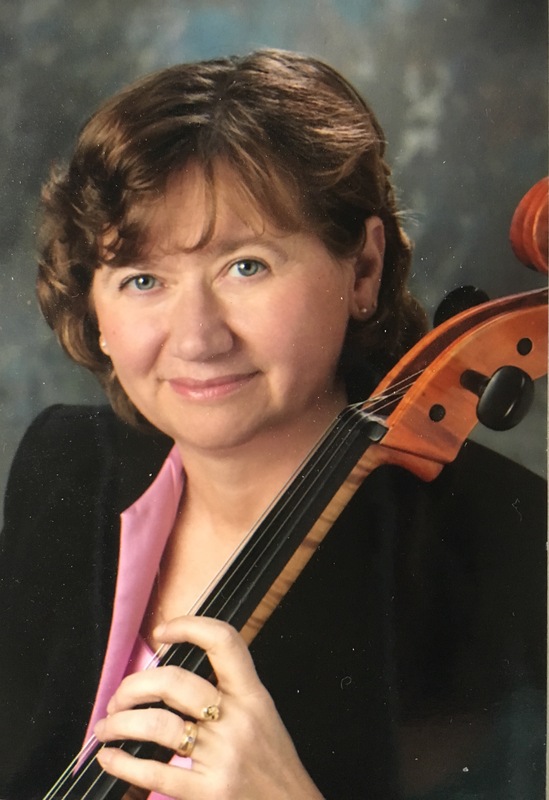 I believe that with my musical experience and background in teaching and conducting, I would be able to bring that expertise to the Symphony as its conductor.” Christa said when she applied for the position. 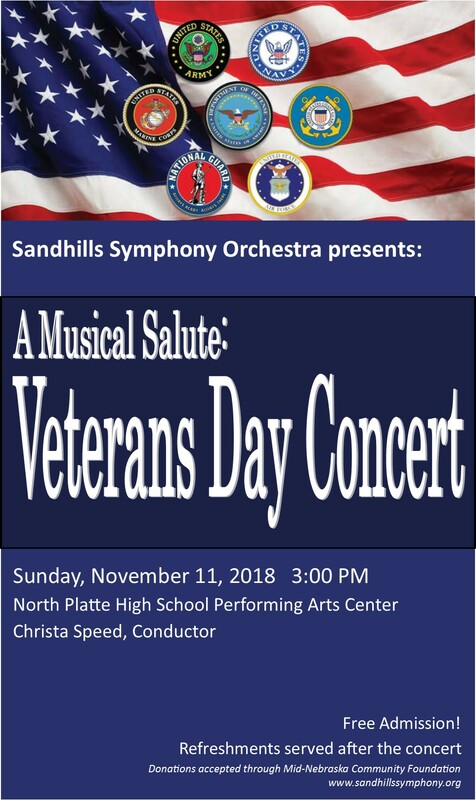 Please plan to attend our concert on November 19th. 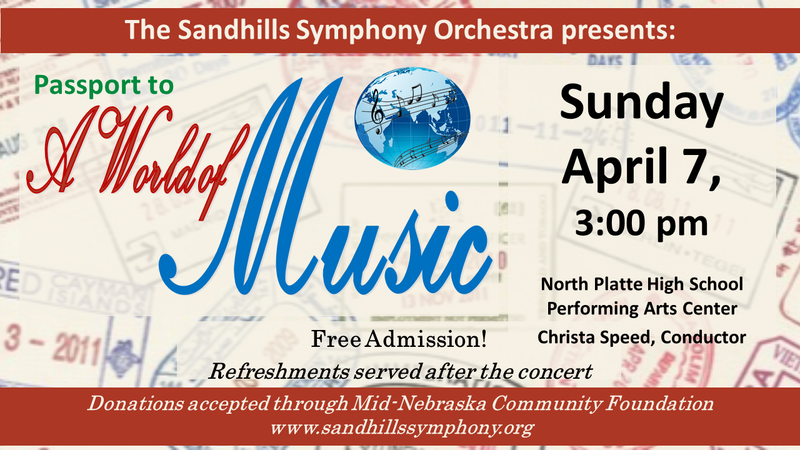 The Sandhills Symphony Orchestra is looking for a new conductor. We wish our former conductor, Carmen Allen, the best in her life in Minnesota where she and her husband have moved to be closer to family. This leaves us in a tight spot, lacking a conductor before the start of the new symphony season in just a few months. 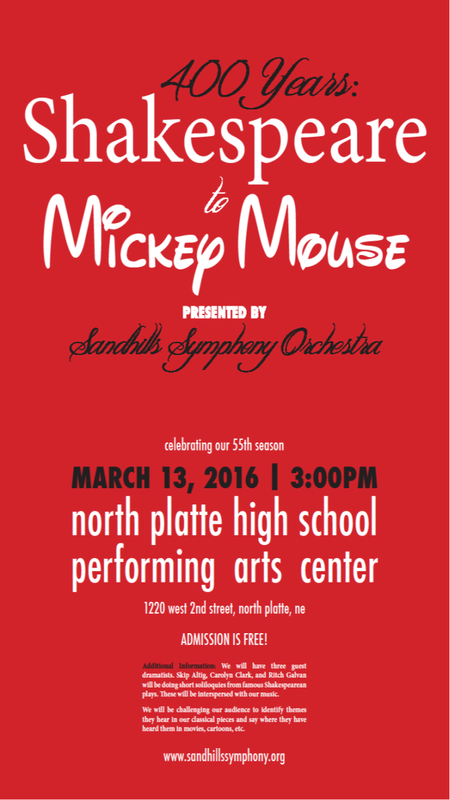 The Symphony is a participating non-profit organization in the North Platte Giving Day. This a one-day online giving event where people are encouraged to donate to their favorite organization.